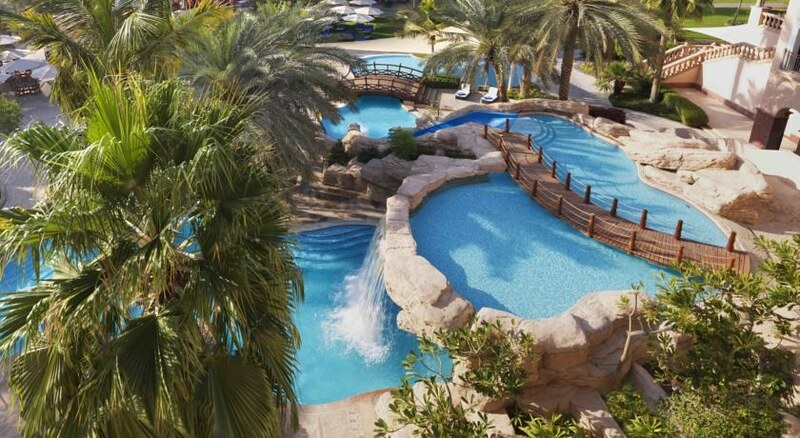 Nestled amid the elegant Marina district in Dubai, the Ritz Carlton Dubai is a fabulous 5-star beach front hotel outfitted with top-class amenities and plush gardens. 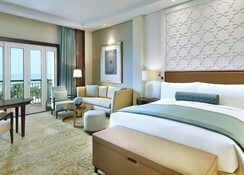 This is the perfect place to stay, if you are looking for white sand beaches and luxury shopping. This hotel with full access to the beach is just a few steps away from shopping, entertainment and dining establishments. The hotel features 294 luxurious accommodations that include 193 guest rooms, 41 suites and 60 club level rooms, each with splendid views of the sea. There is a Club Lounge in the hotel that is exclusive to the guests in the hotel, where they can enjoy daily culinary presentations and personalised service. The Ritz Carlton Dubai is situated right in front of the beach, making it convenient for beach lovers to play and relax in the sun. 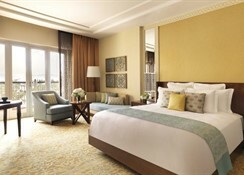 The hotel is about 30km from the Dubai International Airport. Guests can head to the Dubai Mall, which is around 19 km from the hotel for all their luxury shopping needs. 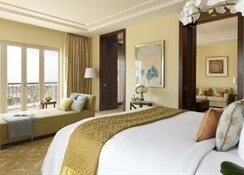 The Ritz Carlton Dubai has splendid sea-oriented rooms and suites that delight all kinds of travellers. There are 12 categories of rooms and suites that include Deluxe Room, Ocean Deluxe Room, Family Room, Club Deluxe Room, One Bed Room Suite, One Bed Room Club Suite, One Bed Room Gulf Suite, One Bed Room Ocean Club Suite, Family Suite, Emirates Suite, Royal Suite and Presidential Suite. All rooms have the necessary amenities which include double vanities, hair dryer, shaving mirror, slippers, plush terry bathrobes, separate oversized rain showers, toilet with bidet, in-room tea and coffee service, honour bar, in-room safe, flat screen TV, desk with integrated entertainment and media, free Wi-Fi, valet and laundry services, complementary local newspaper, 24-hour in-room dining and much more. Dubai is the most visible point across the world for its culinary scene. The Ritz Carlton Dubai reflects this scene in its nine cosy restaurants. Some of the restaurants and bars in this magnificent hotel include Palm Grill, Splendido, Blue Jade, Amaseena, La Baie and Lobby Lounge. Slip your toe into the sand at the Palm Grill beachfront restaurant and enjoy fresh sea food, fruit beverages and grilled specialties. Hit the Splendido Restaurant to enjoy authentic Italian dishes with your family. Go to the Blue Jade Restaurant for south East Asian cuisine and flavours from China, Japan, Singapore and Thailand. The hotel has ample sports and leisure facilities to keep the guests excited and entertained. The hotel facilitates an extensive array of beachfront activities that include soccer games, bird-watching and kite flying. 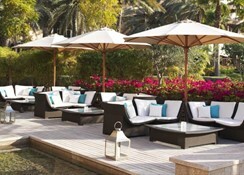 Dive into the outdoor pool and enjoy refreshing drinks on the sun loungers dotted around the pool. To maintain your fitness level, leverage the fully-fledged fitness centre. It will be an exciting stay for the golf enthusiasts too, as the nearest golf course is only 3km away.